Hi friends! 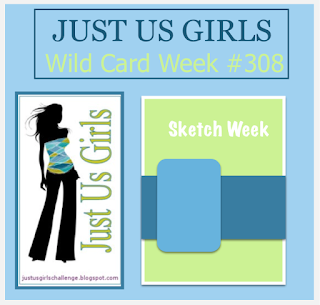 Since we have a 5th week in August, Just Us Girls has its Wild Card challenge. That means the hostess can choose any challenge she wants. Nancy is our hostess and she's given us a sketch to follow. 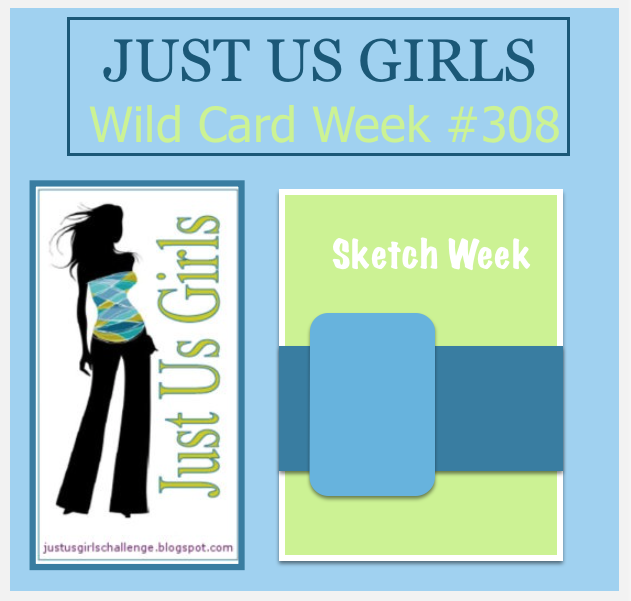 We haven't had a sketch challenge in a while here at JUGs! 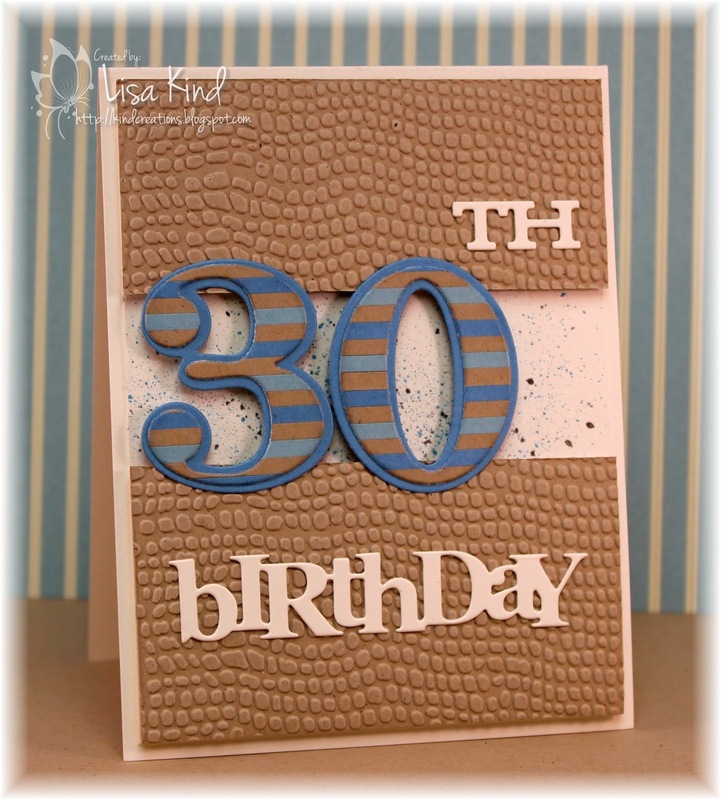 I needed a 30th birthday card for a guy. My best friend's son is celebrating his 30th birthday tomorrow, and my friend and her husband are throwing a big party for him today. It should be a fun party! 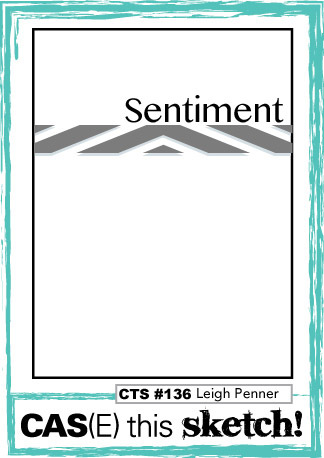 So making guy cards (for me) is challenging. Add to it an additional challenge and you have a card that took a while to make! 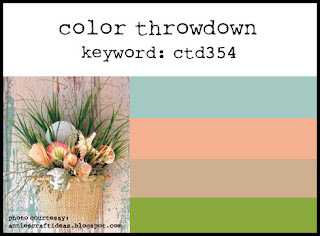 I chose this color palette from a card I did over a year ago. I started by cutting thin strips of kraft, Baja breeze, and marina mist cardstock and adhered them to a piece of scrap cardstock. Then I die cut the numbers from that piece then matted it on another larger number. I die cut the word and suffix from vintage cream. The kraft piece was embossed with a folder and then cut apart. 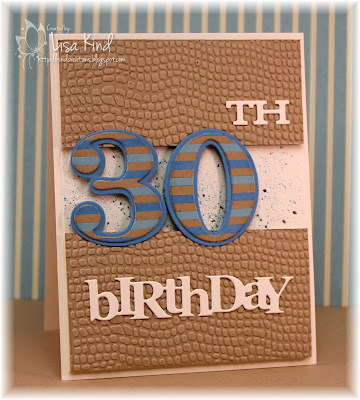 The vanilla cardstock beneath was splattered with some distress inks. The kraft pieces were popped up with fun foam and the numbers with dimensional tape. You can see more inspiration from the JUGs design team on the JUGs blog and our current guest, Karen Bourke. Our current Time Out challenge is running for one more week. This is the photo we are using as inspiration. I saw this picture at Hobby Lobby and it gave me more inspiration for my card. So this is what I ended up with. 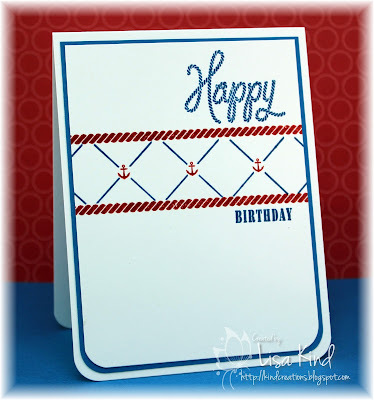 I first sponged the navy stripes on white cardstock. Then I die cut frames from white and navy cardstock. I cut them about 1/3 of the way up and adhered the white frame on top and the navy frame on the bottom of the striped cardstock. 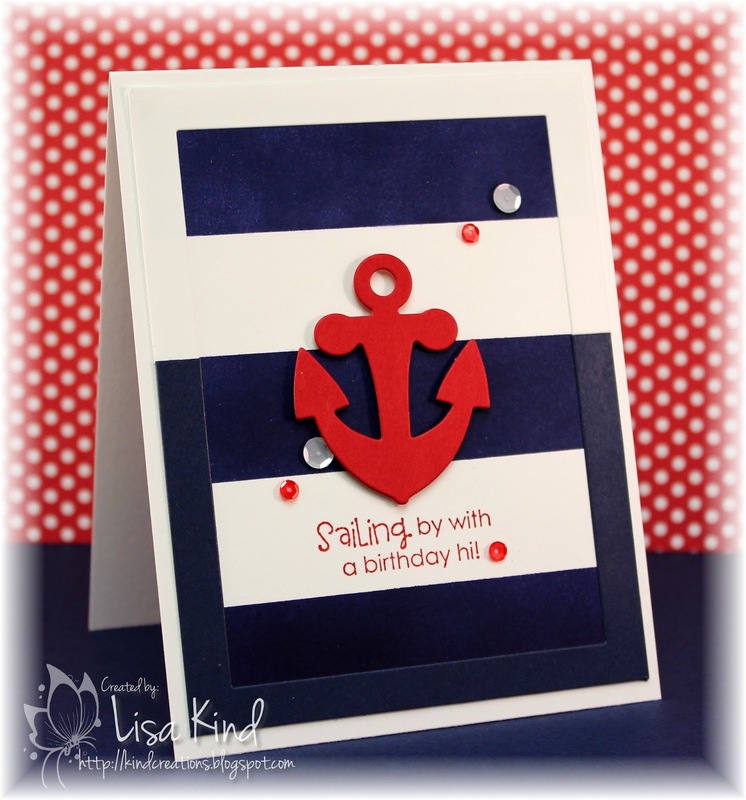 The sentiment was stamped in red ink, I popped up the red anchor, and added sequins. 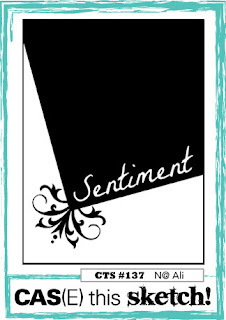 I wasn't going to add the sequins cause this card looks more masculine, but I thought it needed something. In hindsight, I wish I would have made the stripes lighter like in the Hobby Lobby photo to make the frame stand out more. Oh well! 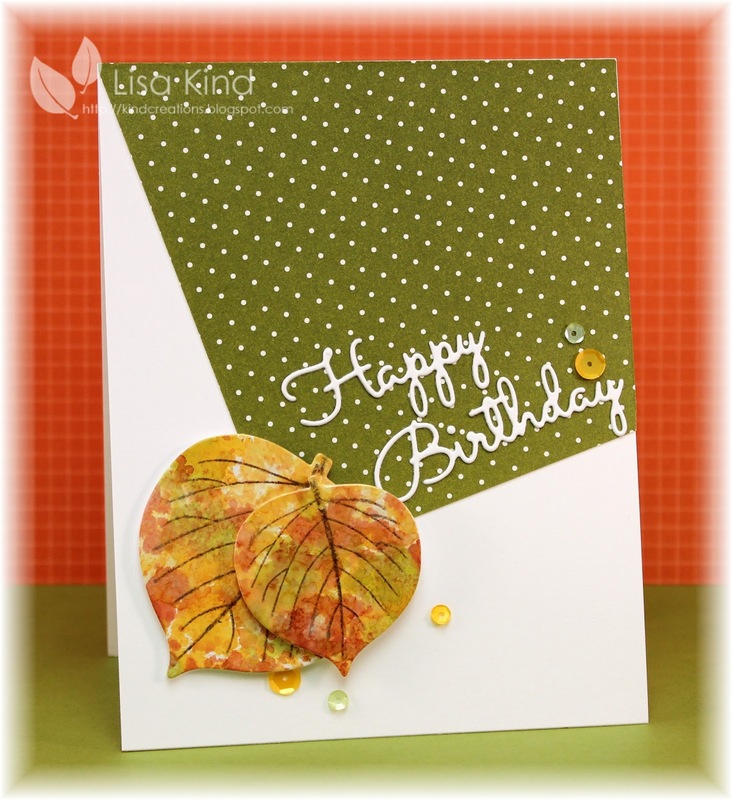 You can see more inspiration and can link up your card on the Time Out blog. Hi friends! 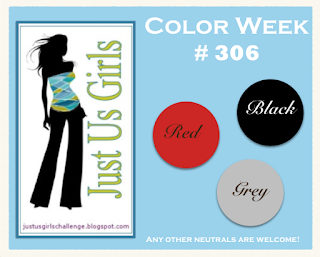 We have a new Photo Inspiration challenge over at Just Us Girls. 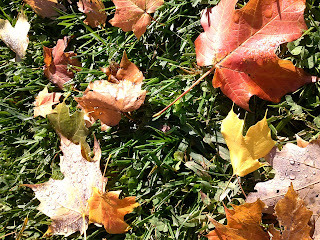 Chris chose this pretty photo of fall leaves. 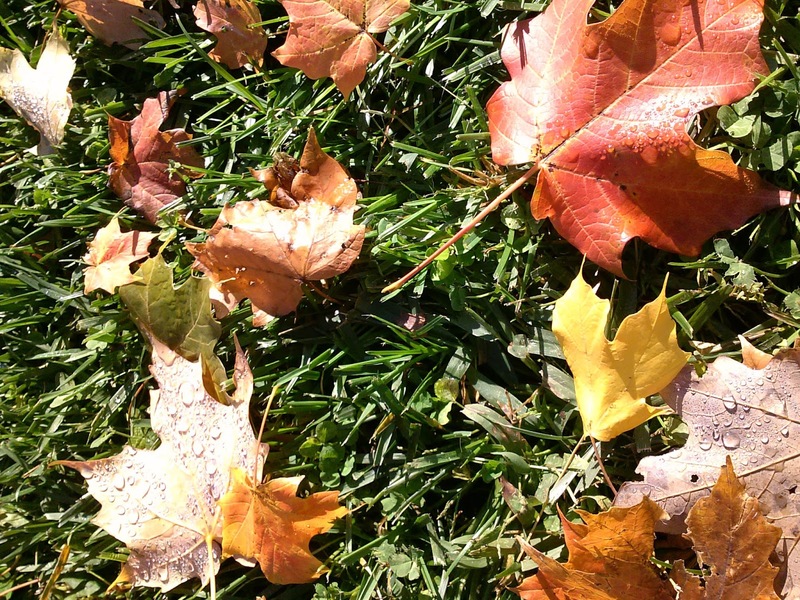 It seems our team is hankering for fall! My favorite season! Here's a closer look in case you need it! And here's my take on the inspiration photo. 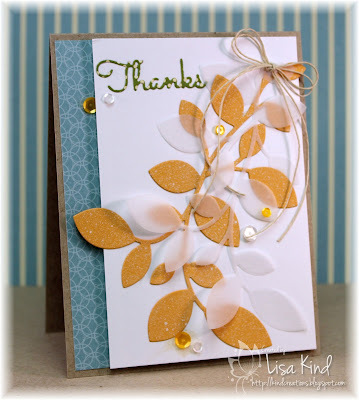 I found a piece of glossy cardstock I created for this card so I used it to die cut my leaves. The paper was created with various alcohol inks. I stamped the veins of the leaves on the die cut pieces in brown ink. The leaves are popped up on fun foam for some dimension. I used some dotted paper for my panel and added the die cut sentiment and some sequins. 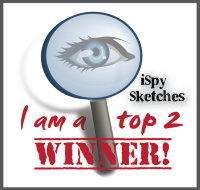 I used this sketch from this week's CAS(E) this Sketch. Love this one! You can see more from the JUGs design team and our guest, Karen Bourke, on the Just Us Girls blog. It's another Thursday in summer...summertime is slipping away! 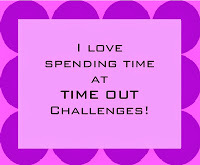 But since it's Thursday, it means it's time for another Time Out challenge. This week is our Home Sweet Home challenge where we supply a photo and you use it as inspiration. 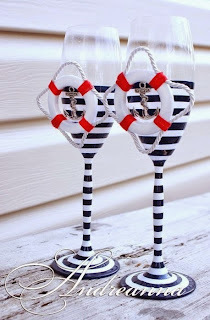 Look at these fabulous nautical glasses. I love the nautical look! 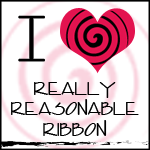 I made this super duper fast and easy card! It took me about 15 minutes to create and I didn't make any smudges or anything! I stamped the blue lines then the red anchors. The rope images were also stamped in red. Then I finished it off with the sentiment in blue. 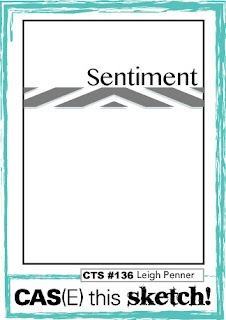 I was going to add some sequins, but I thought this was more of a masculine card, so no sequins! I rounded the corners, mounted the main panel on a blue panel, then on the white base. Easy peasy! I used last week's CAS(E) this Sketch as my starting point. 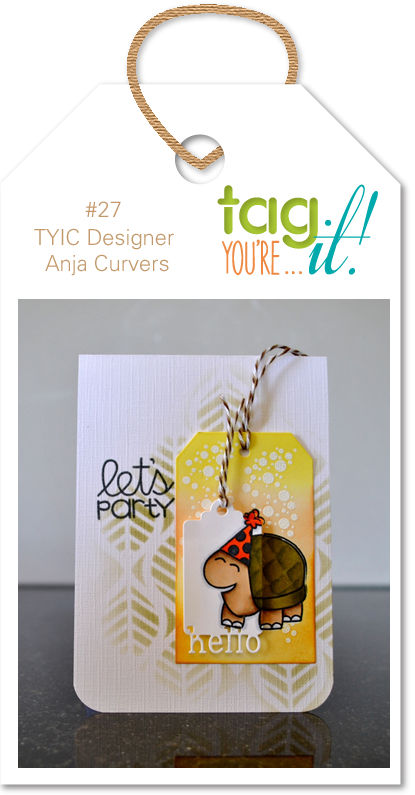 You can see more from the Time Out designers and our guest for this challenge, Anni, on the Time Out blog. Hello! I have a Christening party to go to today and had to quickly make a card. 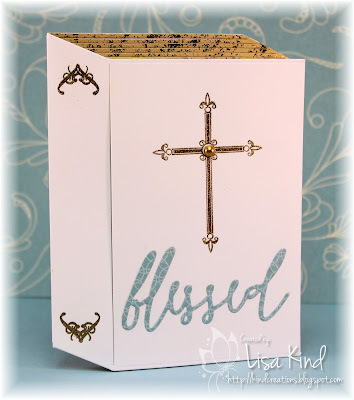 I had some ideas in my head, but then I spied this book cover card die in "my yet to be used" bin and I thought it would be perfect for what I needed. I simply cut the base from white card stock. Then for the page edges, I had just enough of this gold paper to die cut it out. Then I embossed the cross and decorative images in gold. The Christening is for a baby boy, so I wanted to include some blue. I die cut this word from some blue decorative paper. The gold pearl was added in the center of the cross and I was done! This is such an innovative die! Love it! Hi everyone! 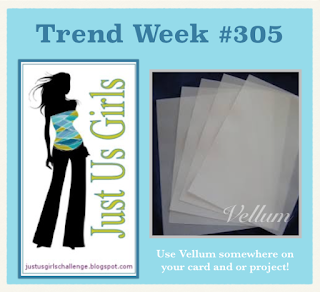 It's Saturday, so that means another challenge from Just Us Girls. This week is our color week, and Ina has chosen a color combothat I just love...red, gray, and black! I didn't think I was going to get a card done for this challenge. I'm having an estate sale today and yesterday at my mom's house. She recently moved into an assisted living facility and I've been at her house all week sorting, discarding, and pricing items for sale. Yesterday was really busy and went well, but I'm exhausted! I didn't think I'd have any energy to make a card, but I seriously couldn't get these colors out of my head. And I needed a thank you card to send to my best friend, Maria, for helping me all day yesterday. So here's my attempt at these colors. I wanted to do a very simple card. Of course this is simple, but s*#% happens, as they say. Twice I smudged ink on the panel and had to start over! 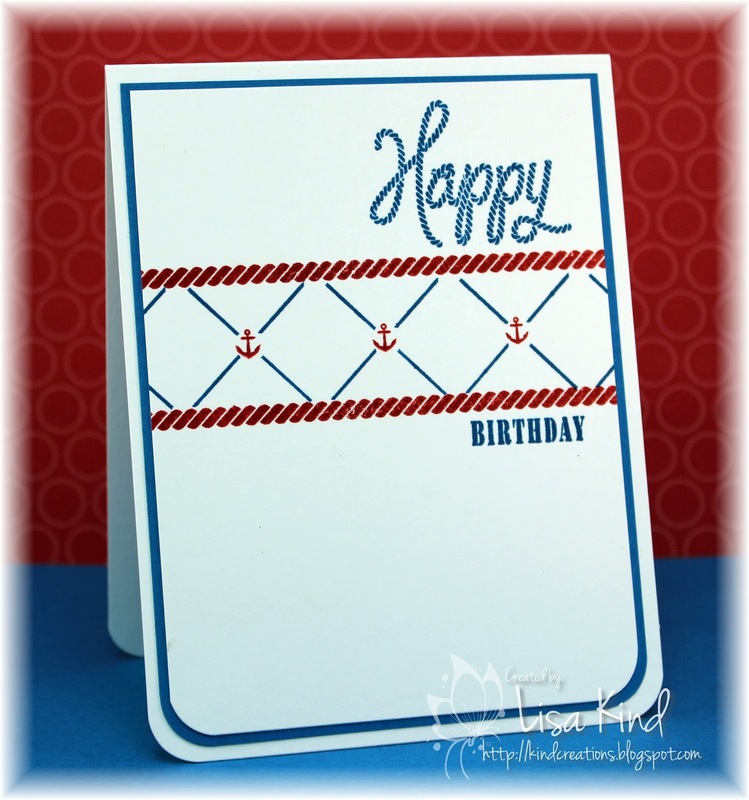 I just can't seem to make a card without some boo-boo! Anyway, I added the black washi tape to the bottom of the panel then stenciled the red hearts. 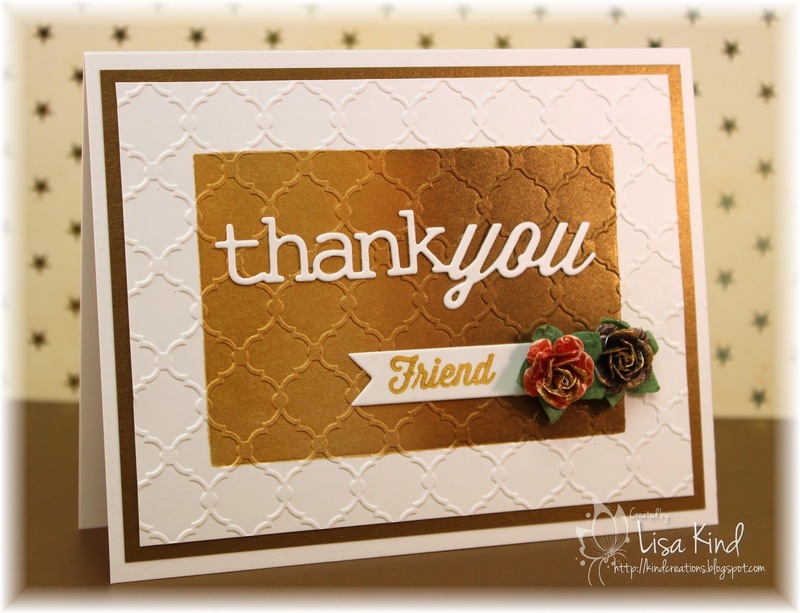 The sentiment die was cut twice: once from red cardstock and again from fun foam to give the card some dimension. I mounted that panel onto gray cardstock and then added some sequins. The sentiment die was covered with Wink of Stella shimmer. Easy peasy! 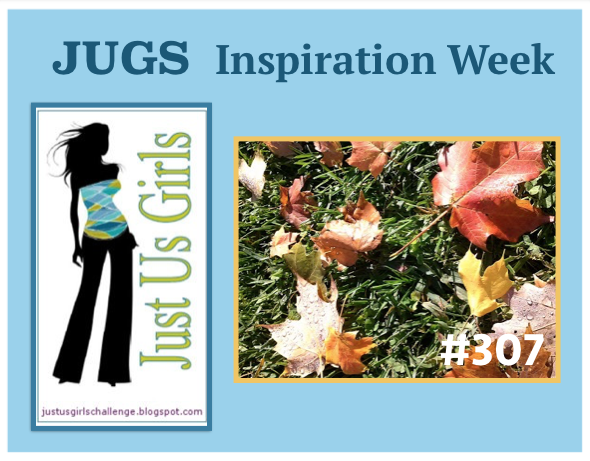 You can see more from the JUGs team and our current guest, Karen Bourke, on the Just Us Girls blog. 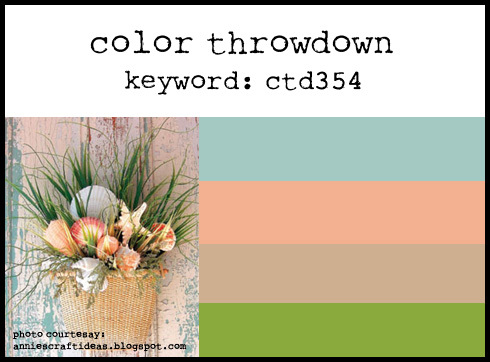 You can see more inspiration on the Time Out blog and our guest for this challenge, Cornelia. Hi friends! This week over at Just Us Girls it's word week. 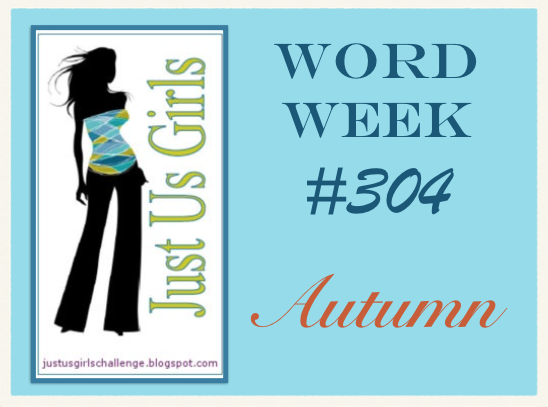 Maria chose the word Autumn...my favorite time of the year! I'm pretty sure it's Maria's as well! This is my interpretation of Autumn...leaves. I started with the woodgrain stencil and brushed corduroy ink. Then I went to work on the tag. I stamped the leaf sprig on the tag with Versamark ink and embossed it with white powder. Then I took three distress inks and sponged them on, blending them together. I then die cut the leaf from watercolor paper. I worked on this leaf for a looooong time! I did it and re-did it four times before I settled on this one. I sponged green on the stem and towards the center of the leaf. Then I applied some orange and yellow inks. I then added some drops of water on it and heat set it. The veins were stamped with brown ink. The baker's twine, sequins, and sentiment finish it off. 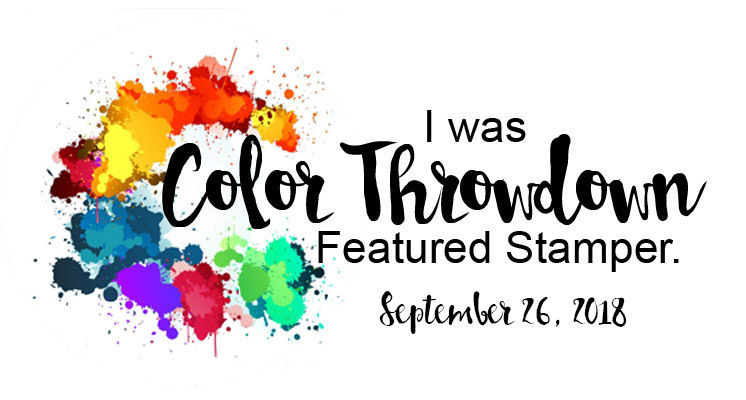 I used this week's Tag You're It! challenge as my inspiration. I'm also taking the Background Check Online Card Class and the sponging on the tag is a technique they talked about. You can see more inspiration from the design team and our new guest, Karen Bourke, on the JUGs blog.